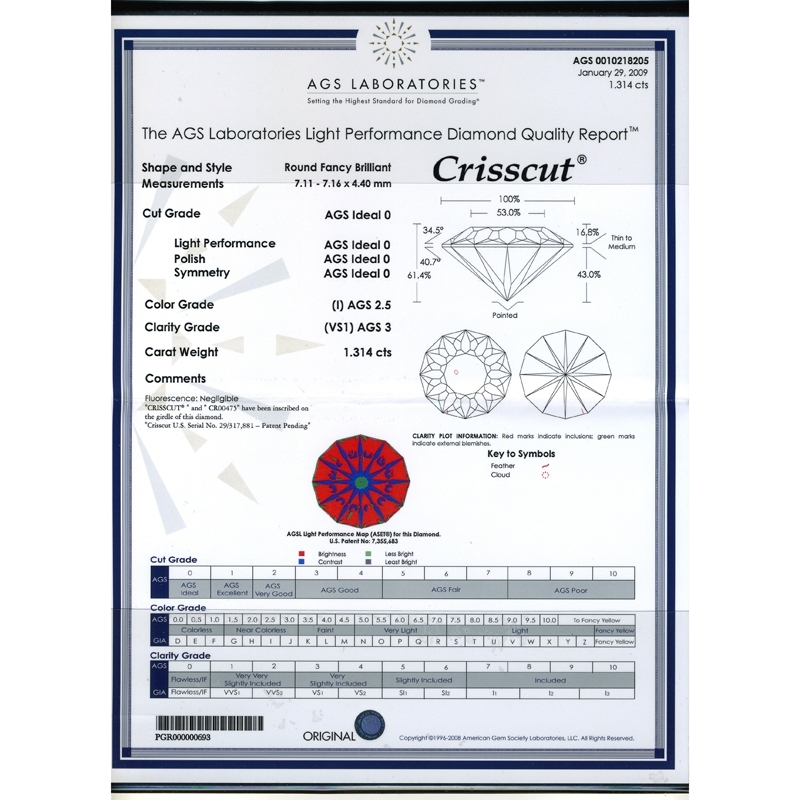 Center Diamond Details: 1 AGS certified patented round crisscut cut white diamond at the center, of I color, VS1 clarity, of ideal cut and brilliance, weighing 1.31 carats. 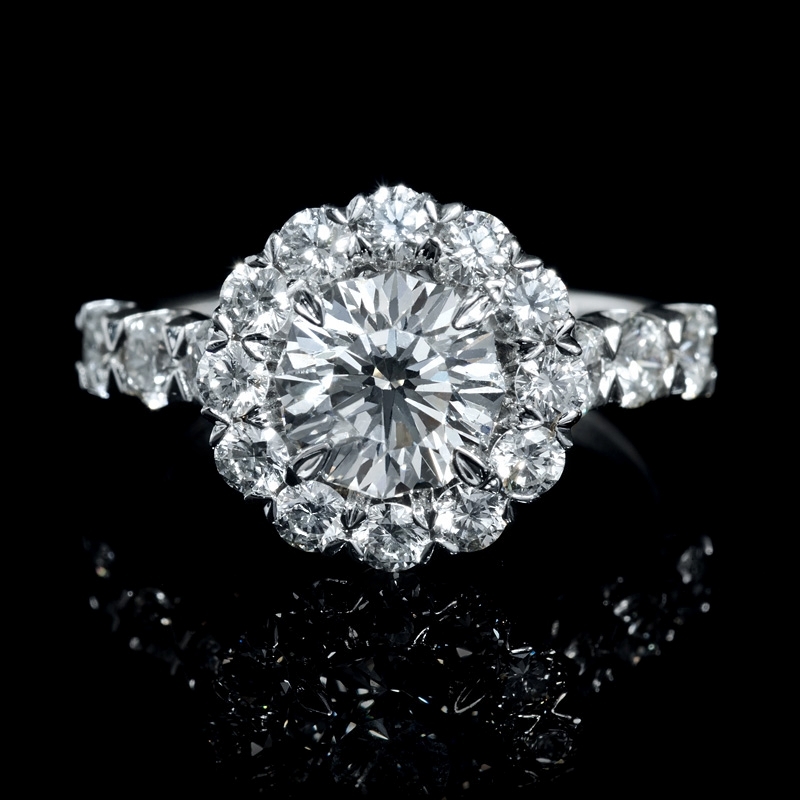 Diamond Details: 18 Round brilliant cut white diamonds, of excellent cut and brilliance, weighing 1.20 carats total. 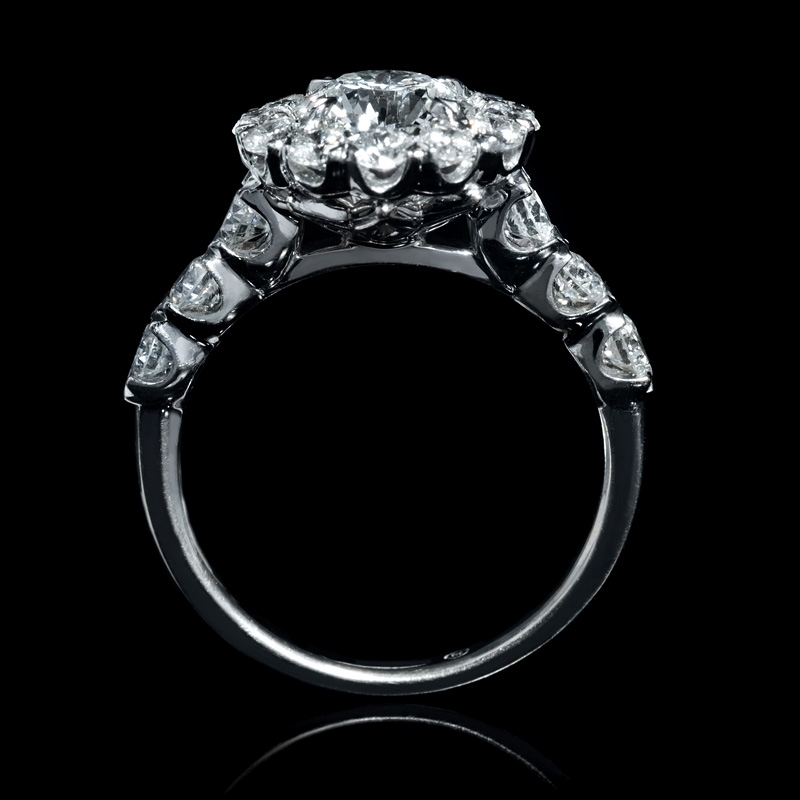 Ring Details: Christopher designs 18k white gold design. Measurements: Size 6.5(sizable) and 12mm at the widest point. 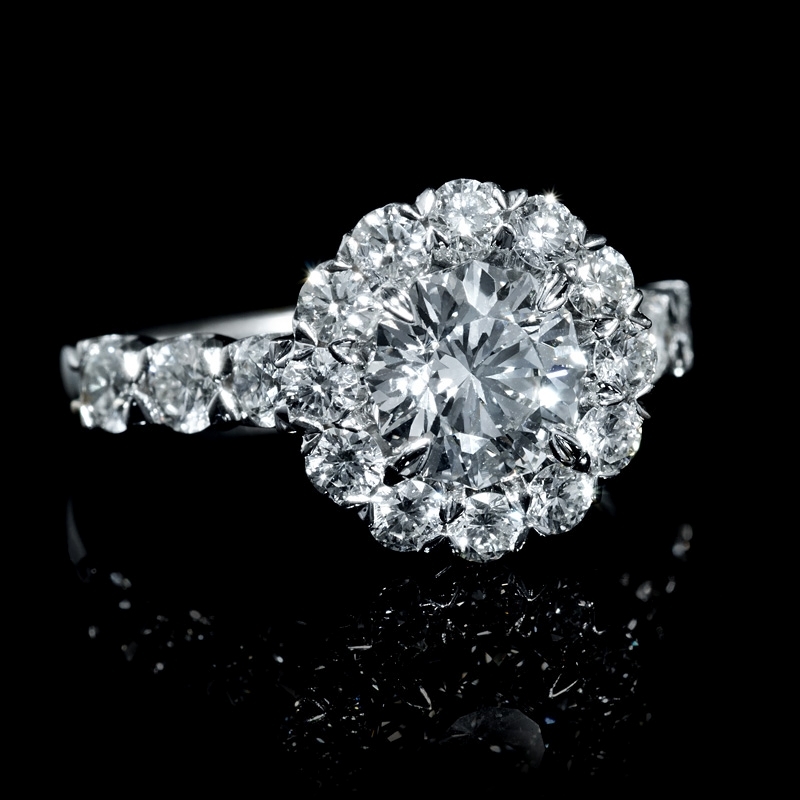 Christopher design rings can be ordered in any finger size. Some sizes may be special ordered and take approx 4-6 weeks to deliver. 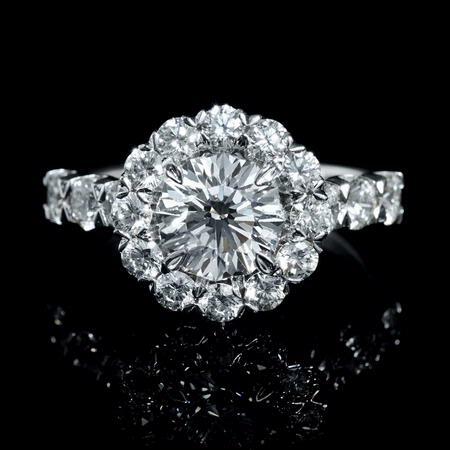 This gorgeous Christopher designs 18k white gold engagement ring, features 1 AGS certified patented round crisscut cut white diamond at the center, of I color, VS1 clarity, of ideal cut and brilliance, weighing 1.31 carats surrounded by 18 round brilliant cut diamonds, weighing 1.20 carats total. Christopher design rings can be ordered in any finger size. Some sizes may be special ordered and take approx 4-6 weeks to deliver.